Back Row: George Norman, Simon Jefferies, Ian Dunbar, Richard Lee, Adam Litowczyk, Chris Bird, Peter Miller. 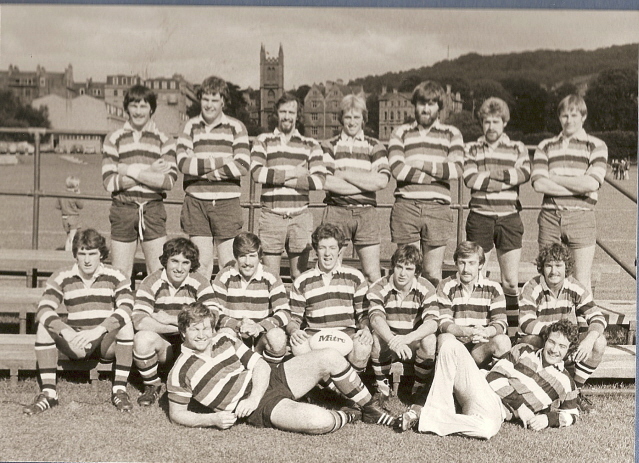 Second Row: Barry Trevaskis, Chris Legg, Geoff Pillinger, Mike Robinson, Paul Smith, Dave Ponsford. Andy Janes. Front Row: David Butcher, Kim Karabatas. This page was added on 16/08/2015. Thank you Gary. Have made the changes including the date which should be 1976 not 1970!Hope you’re fit and well. i am gary townsend ,mike robinson is the player in my spot…. the guy on the grass kim karabotas,seahawks ,California.